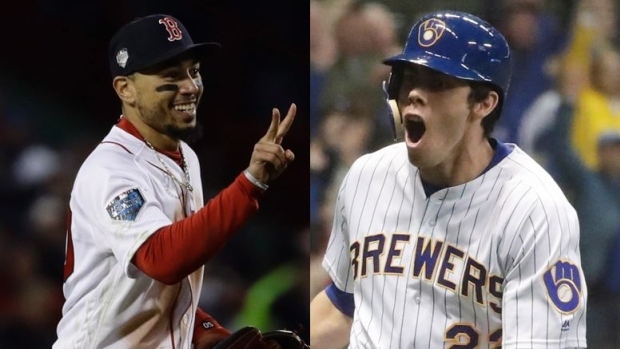 NEW YORK — Mookie Betts is ready to become an ambassador for baseball, now that he's won a batting title, World Series and Most Valuable Player award with Boston. Betts hit a major league-leading .346 with 32 homers, 80 RBIs, 42 doubles and 30 stolen bases as the leadoff hitter for the Red Sox, who won a team-record 108 games and their fourth World Series title in 15 seasons. Votes were submitted before the post-season.